This is a recipe from my husband’s aunt for French style whole potatoes sautéed in butter until golden and crispy on the outside. 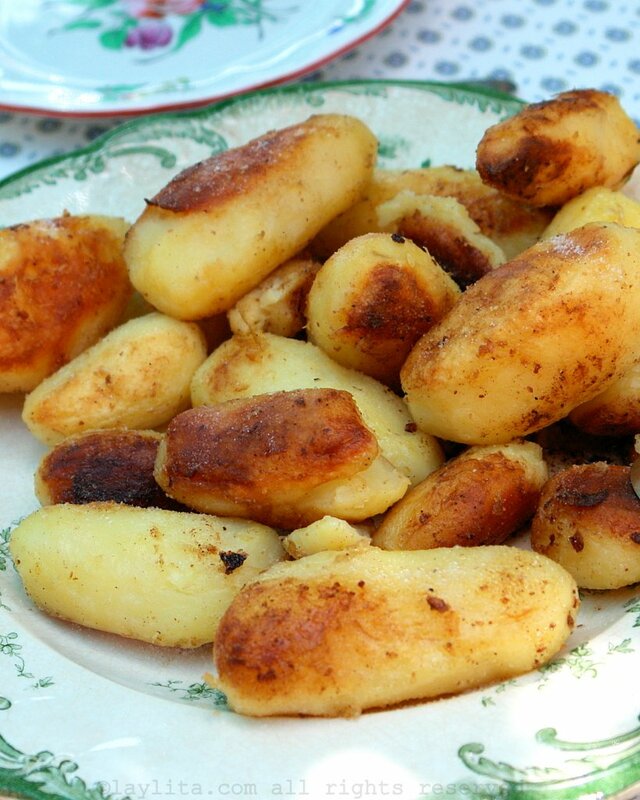 A lot of Ecuadorian dishes have potatoes as a side dish: sometimes the potatoes are boiled, fried, mashed, in patties, you name it. One of my favorite potato sides is when the potatoes are roasted and cooked alongside a meat dish. However this can’t always be done, especially when you aren’t cooking a meat dish or the dish doesn’t allow the potatoes to be cooked with it. I do like simple boiled potatoes, but I always feel like they’re missing something, even if they’re served with a sauce. Last summer we were visiting Nico’s aunt Eliane in Provence and she was making potatoes as a side for a wonderful meal she made (my mouth is watering). 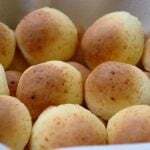 She boiled them first and then sautéed them with butter until they had a nice golden brown color, they were delicious and really showed the greatness of a simple potato. So now whenever I have a dish that usually has plain boring boiled potatoes as a side, I sauté the potatoes in butter until they are browned. Leave it to the French to turn something basic into something delicious by simply adding butter. The way I see it this is a compromise, maybe not as healthy as plain boiled potatoes, but tasty enough without being completely fried (don’t get me started on homemade fried potatoes – I give into that weakness about every six months). 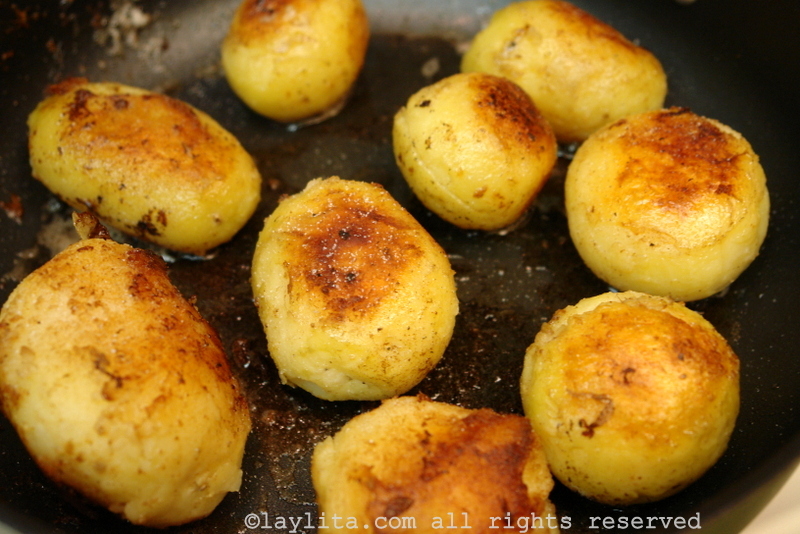 Recipe for French style whole potatoes sautéed in butter until golden and crispy. This simple French inspired side dish uses boiled whole potatoes, which are then peeled and pan sautéed in butter. Heat the butter in a large sauté pan and add the potatoes, cook until well browned on all sides.